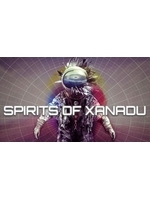 Spirits of Xanadu is a new indie game which has just been released on Steam and we must say we don't really know what to think about it. Developed by two men (Allen Trivette and Lee Williams), this first person adventure/shooter game is a sort of tribute to System Shock, without the RPG aspect. The non textured 3D is reminiscent of a past long gone but that we don't mind really. The same can't be said of the controls when playing with a gamepad, which we strongly advise not to. Some will say it makes sense as it is after all a PC title, and it's true, but since the game is fully compatible with controllers, it's a bit of a shame aiming feels so stiff and awkward. Combat is not particularly interesting anyway, thankfully exploration, though repetitive, is quite atmospheric. Wandering through the corridors of the deserted spaceship Xanadu, you'll find audio logs and strange pages, something we think is the main interest of the game. Check out our videos and make up your own mind about it. To be honest....even the first System Shock was textured, so I don't get that non-texture look. I know, that texture creation process is maybe too much for two people, but I will probably skip this. Not only for the absence of textures of course. :-) But thanks for the videos. 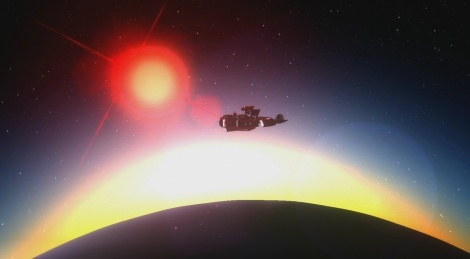 I loved Lifeless Planet and other similar games, I enjoyed the audio logs I found in Xanadu but it was a pain to play. Combat is useless and boring, irritating even if you happen to play with a gamepad. It's never scary, if that's what they were aiming for. Game is atmospheric, but it didn't work at all with me and I wouldn't recommend it. Very enjoyable but short game with superb eerie atmosphere. Love the minimalistic graphical presentation. I want more games like this.